Michel Ciment hits New York to preside over the “Mavericks and Outsiders: ‘Positif’ Celebrates American Cinema” series. 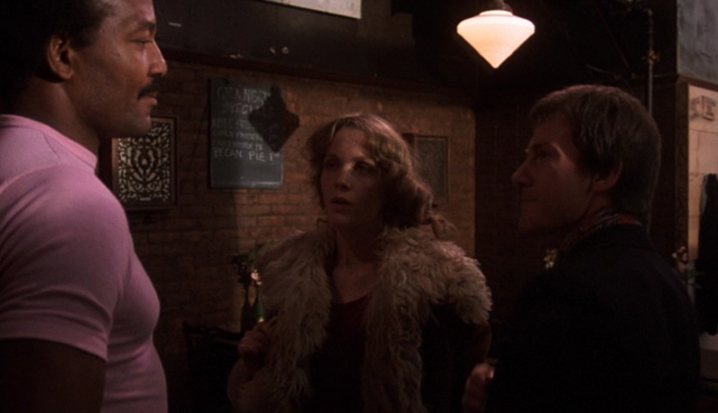 Above: Jim Brown, Tisa Farrow, and Harvey Keitel in Fingers, directed by James Toback (1978). 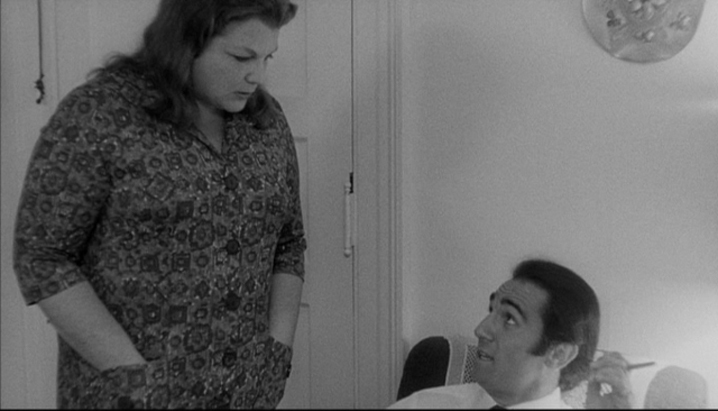 Above: Shirley Stoller and Tony LoBianco, The Honeymoon Killers, directed by Leonard Kastle (1970). Venerated writer and editor Michel Ciment, author (among other texts) of the definitive book on Stanley Kubrick, and the editor-in-chief of the great French film magazine "Positif", hits New York this week to preside over the Film Society of Lincoln Center's series "Mavericks and Outsiders: 'Positif' Celebrates American Cinema." The series celebrates strong individual voices, something that "Positif", with its non-doctrinaire perspective and ability to construct meaningful rapports with filmmakers of all stripes, has always stood for. The Notebook had the opportunity to chat with the friendly, thoughtful Mr. Ciment on the eve of the series, which runs from January 31 to February 5. NOTEBOOK: For the benefit of some of our younger readers, it would be great for you to begin by talking a bit about "Positif" itself; its history, mission, when you yourself began there, and so on. MICHEL CIMENT: I started in 1963. The magazine had started in 1952. We had a celebration at the Montmartre in 2002, 50 years, we published a book, an anthology, which tells the story of the magazine. So when I joined the "Positif" it was 25. I'd written in student papers about cinema, a small magazine which was really small; it was 500 copies and sold inside the university. And I sent a piece to "Positif," as it always happens today; the only way to write in the magazine is to send a piece, which is read by the editorial board. On Sunday afternoon we meet, every week, for about 3 hours, and we read pieces that have been submitted. And when it is approved, you are printed. "Positif" started 10 years before I arrived, as a provincial magazine in Lyons, made by students, which was really nourished by a passion for cinema. There was no intention among its writers of becoming directors, there was no intention of becoming screen writers or producers. What people wanted was to share with other people their love of cinema. And they were very young, they were 20, 21. And a lot of them went to the Algerian War, it's why it moved to Paris, because the people in Lyons could not continue the magazine. The editor-in-chief, Bernard Chardère, who is still alive, was a great specialist of photography also. He went to war in North Africa, and the magazine continued in Paris. And that was a time really where film culture was not evident. There was nothing in universities and so on. There were some very good writers on films, but on the whole, except a few groups like the Surrealist groups who always loved cinema, cinema was not considered as an art form like literature, music, painting. And the "Positif" writers wanted it to be considered like that. They thought it was absolutely legitimate to refer to Buster Keaton or to refer to Eisenstein the way you refer to Proust or to Flaubert. So that was really the idea. And so I don't think it has changed really in that sense, in the spirit of these early years. The passion for cinema has been the common ground, which explains why we have been away from all the network of friendships and intrigues and so on; and pushing friends when they make their first film...we have been independent of that because we are not inside the cinema world. And also it has also protected us from the theoretical traps of the 70s, like where people looked at film with a grid, either Marxist, either structuralist and so on. I mean, we went to the cinema and we loved film rather than another film. And then we started to rationalize. Then we started to apply our aesthetics, even the psychoanalysis, even sociology, whatever, all the critical tools. But the first thing was not that it fit my ideology, or that it fit my aesthetics. And therefore we could love Marienbad as much as a western. And this kind of eclecticism has remained, I think, the basis of the magazine and perhaps why so many films were discovered by "Positif" at the time when it was not justified to like a certain kind of film. And that is why, I think, in the 70s, early 70s, "Positif" was the first magazine in France and maybe probably the leading magazine in Europe to support Altman, Scorsese, Schatzberg, Pollack, DePalma and all these people who were starting to be also appreciated in America, but maybe we did it in a more systematic way. Or, as this program shows, even some films like David Holzman's Diary like Wanda, like Fingers, like Honeymoon Killers, like Blue Collar, which were really very strange exceptional films in their own right, did not belong to any real movement, and that we championed right away because we saw in these filmmakers a talent, budding talent. NOTEBOOK: The "Mavericks and Outsiders" program does have a very strong 70's component—but one of its more recent pictures, Larry Clark's 1998 Another Day in Paradise, is a pretty unusual film for Clark, as it's not entirely youth-based and it is in some respects almost a genre film, which he doesn't normally do. What was your perspective on this picture that made it stand out for you? CIMENT: First of all, when I discussed the program with [Lincoln Center Film Society director] Richard Pena, what we wanted to emphasize was the director. And then we decided—I had decided with my friends in Paris—what kind of directors we would like to promote. We did not think of Altman or Scorsese and so on because these directors have become classics and almost undisputed. And even if "Positif" was one of the very first magazines who dealt with them, it didn't seem to be so original. So we looked at people who were neglected or who were not so much spoken about. And once the choice of the names was made, we had to go into the films. And it's true that Larry Clarks' films, like Kids or Bully; pretty much all of them except Another Day in Paradise were in this kind of semi-documentary style, about kids and so on, and we thought that Another Day in Paradise was probably less well known and...an equally good film. So we decided to screen that. And also the fact that there is a thread going through this program. It's a lot about criminal films, which is a genre which always, since Kiss Me Deadly, They Live By Night, through Badlands, and beyond, has always been very productive. And very often also first features, because inside the criminal genre you can innovate much more stylistically; because people are captivated by the story, and therefore you are more allowed to do experimentation than you might be able to with comedies or with westerns or with musical comedies. And that was one reason it skews that way. The second reason is that it's in such films that you get a more critical view of America. Not that we like films because they criticize America, but we like films in France which are not just very complacent towards standard morality and so on. Films that make people think about their values and so on. And that is prevalent in the criminal genre. I mean during the blacklist, the HUAC and then the McCarthy period, most of the people who collaborated in criminal films, either directing or writing, were among those whose careers were affected by blacklisting and such. It was in that genre where left wing ideas would be propagated. And the critique of society continues in genre films well beyond that period. That's why we have films like Fingers, we have films like Another Day in Paradise, The Honeymoon Killers, even True Confessions. Wanda is not purely a genre film, but it has real elements of a crime film in it. A lot of the films are also first pictures, because I believe that—well, first off let me talk about what I don't believe, I don't believe in this cliche that you sometimes encounter when you speak to a colleague you say, "I like that first film." And your colleague says, "Yes, it's not bad for a first feature." I happen to think that first features are very often the best films of their directors, because when you start to make a film, a first feature, you don't know how many difficulties you will meet on your way. But because you are fresh, you have thought about this first film for years, there is a kind of intensity and density in the first feature. And the filmmaker doesn't have the full experience of the problems of the press, of the producers, of the audience, all the things that little by little demolish the directors. And so many directors have such difficulty in making a fifth or a sixth feature, because they have given up in a sense. In the cases of [Wanda director] Barbara Loden and [The Honeymoon Killers director] Leonard Kastle, they didn't even get to direct a second feature. NOTEBOOK: There's something poignant about these people who make this one film and it's such a gem and it's so special and then nothing, for whatever reason. Is that something you find yourself sort of personally attracted to in a way? CIMENT: Not personally attracted, but it has something, of course, fascinating; because you must think about what these directors could have done. There is also the case of The Night of the Hunter, by Laughton. It doesn't happen so much in literature. I mean there are single books, it happens too, but not as much. NOTEBOOK: We also have in the program a couple of first films by directors who have had very fascinating subsequent careers. Blue Collar, by Paul Schrader, and Fingers by James Toback, are '70s pictures that have, for one thing, a frankness about sexuality that's still bracing today. CIMENT: It was really a great period in American cinema. There was more freedom, the society was more open. These two cases, you had screenwriters turning directors, and they are good examples of first features that had been nourished by an experience of cinema. Schrader worked for Scorsese, for Pollack and so on. So he had an experience in screenwriting. And of course Toback also, for The Gambler, with Karel Reisz. And I think they did not "need" to make a first feature, except for the desire to really expressing their own…uncompromising personalities. And it's why I think, again, you have two first features in a period prone to this kind of experimentation, with people inside the business who were not trying at all costs to make a film but wanted to make a film that was significant…and that would not be compromised by the director! That's what Billy Wilder said when he made his first feature. He didn't want Mitchell Leisen to interfere with his own script, so he decided to make it himself. NOTEBOOK: The most recent picture in the group is Lodge Kerrigan's Keane, from 2004, which was made under very different circumstances than many of the films here, some of which were able to get studio backing and so on. I guess you could say that it's made within the most recent model of American independent film. What are your thoughts about what you're seeing in that mode these days? CIMENT: Well I am not fond of American independent cinema nourished by Sundance, honestly. I know it's not very popular to say that I don't like Little Miss Sunshine. Everybody seems to love it. I think that there is a kind of independent filmmaking, which is really about the filmmakers looking towards becoming Hollywood directors. It's very different from the independent films of the 70s that we are showing in this program. And I think Lodge Kerrigan is one of the very few independent directors working in that tradition. I like, also, a recent film Shotgun Stories. And Ballast, which I saw in Berlin last year. These films, and their directors, belong to what I really like in American independent cinema. And certainly Lodge Kerrigan is the best example of that because he has three films, Claire Dolan, Keane, and Clean, Shaven; all of them very rigorous in their mise-en-scene, very bold in their experimentation, too bold maybe for the audience to take. And with an extraordinary intensity of vision which I find really fantastic. So definitely we wanted him to be in that list.